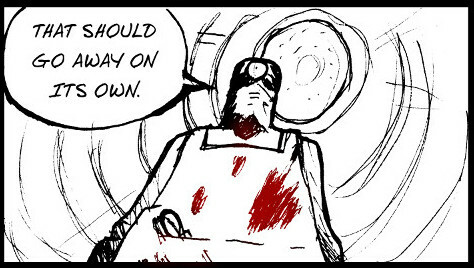 Check out antibunny.com for the latest page of AntiBunny: The Gritty City Stories, where Jimbo’s flashback comes to an end on an all to real note. – You don’t have to make a new masterpiece every day it’s okay if all you drew is a doodle of a bug. You are now +1 bug doodle better at doodling bugs.